I have been suffering from a chronic injury for over a year with a separated shoulder. While landscaping this spring I began to experience increasing pain in the area, compounding the issue further with tendonitis in the upper bicep region. My friend and business partner, Uwe Uehle, blessed me by introducing to me a product and business opportunity that has literally been transforming my life. Replacing conventional coffee with the Healthy Coffee, which contains Ganoderma Lucidum, has eased the inflammation in the shoulder and bicep, sustained energy levels throughout the day, aided digestion and has allowed me to trade the 9 to 5 grind for a full-time business venture that is growing daily. 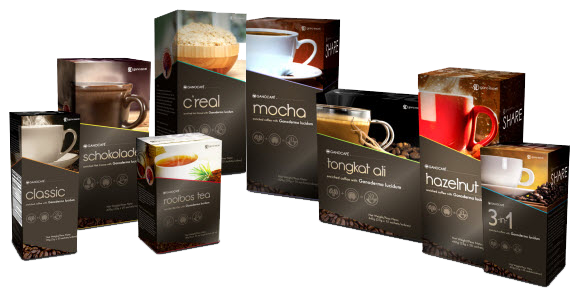 I have introduced the Healthy Coffee to many friends and family who are now also loyal customers, some of whom have joined the business with me. We’ve even signed on a team member last week in Puerto Rico. Thank you for all the items you have sent! The coffee has certainly passed my husband’s taste and energy test. He never had that result in all the other healthy coffee I had him try. I am not a coffee drinker but I am drinking the 3-in-1 and in the same day noticed more energy and less inflammation in my arthritic fingers. I will be starting my autoship soon. I’m excited finally about a healthy coffee. I lost about 5 pounds in the first 3 days after just drinking the coffee. I didn’t have any pills at all. I just was brought some samples and started drinking it and noticed that. And I know I’ve had a lot more energy and just want to talk about all of the different uses of the coffee, the toothpaste … all the different things. We’re so excited and my husband’s loving it. He is a heavy duty coffee drinker and he was a little skeptical at first. He drank the black coffee and loved it. He said it tastes like it’s just been brewed. He’s lost weight too. I have been taking 1 pair a day of the Ganoderma and Excellium capsules for 4 weeks now. My blood sugar level history is as follows: Before taking the Gano capsules: 300. 1st week: 252; — 2nd week: 187; — 3rd week: 153; — 4th week: 137. This the first time my blood sugar went down to 137 in 13 years! 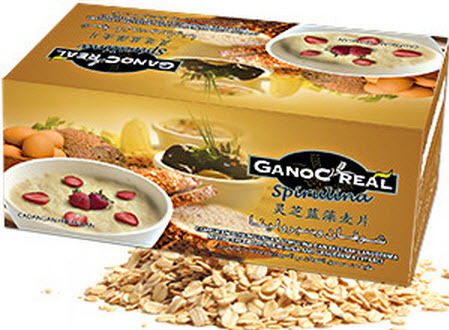 I’m so excited about the Gano Excel products. The Gano Café taste is excellent, and my constipation is a thing of the past! I take anti-hypertension drugs, but after taking Ganoderma and Excellium capsules, my blood pressure reading is now 113/72 when before it would go as high as 149/99. I tried all kinds of medicines to treat the psoriasis on my hands without any success. I never expected the Gano Café which I take daily would heal it completely. My friend, Ched Ubalde, has a similar problem because she has psoriasis on her forehead and neck. She took the Gano Café and Gano capsules, and in less than a month, she told us “we are heaven sent” because the affected area was no longer itchy or reddish. It was dry and cured. My name is Claudia Garr and I live in Augusta, Georgia. Ten and one half years ago, I was a successful motivational speaker and a Mary Kay Director with seven states and over 100 women in my unit. I was a former LAPD officer and was used to running 2 1/2 miles a day. I was in the prime of my life, and wore a size 4. On August 9, 1993, a trash truck rolled over my car and I developed a debilitating disease called Fibromyalgia. I experienced chronic pain, sleep deprivation, migraine headaches, and extreme memory loss. My immune system was compromised and I was bed ridden for almost two years. I became depressed with no hope for recovery or a meaningful life! Over 90% of the people with this syndrome die of suicide, because of the continuous pain and mental anguish. The only method of treating this disease was to prescribe narcotics such as Demerol, Morphine and Tricyclorides that had devastating side effects including organ damage and severe weight gain. After taking Gano Café 3 in 1, Ganoderma and Excellium, my body was without pain for the first time in almost eleven years. I have energy to run a business and mental clarity. I lost 10 pounds and two dress sizes in 11 days. My mission in life is to expose everyone to this miracle called Ganoderma, so that they too, can live and walk in the power of health; which will allow them to be the best that they can be! Hi! I am Dr. Johnnie Strickland Jr MD, FAAFP, ABFP (board certified Family Physician). I have been working with traditional and alternative medicine now for twenty years. One of my primary focuses is to help my patients get on a regimen of an Acid Free Diet. In 2003, I added Gano products because of the amazing low acidity of the coffee and how it helped to balance a person’s pH. Recent research from all over the world stored at the National Library of Medicine reveals the herb Ganoderma (Reishi) to have over 460 studies on its benefits. I highly recommend people do this research for themselves as I know that when they do they will be as excited about this herb as I am. I have found no better way to deliver the benefits of this herb than in coffee and tea as most of my patients are tired of swallowing pills! They can now get the benefit of the herb simply by drinking their favorite beverage. I LIFT MY CUP TO YOUR GOOD HEALTH! Recently on our trip to Maui for our wedding and honeymoon, we miscalculated our consumption of Healthy Coffee and BOY were we sorry! We love the calm, excited energy that it gives us and the most incredible sleep we have ever experienced. We love starting every day with a nice cup of Healthy Coffee and nothing beats the red tea as the sun is setting to sooth the nerves. This stuff tastes great! I have been a registered nurse for over 25 years, so health, wellness and disease prevention have been my life work. For the last decade I have had a strong interest in alternative medicine and I have done a lot of research on this subject. Personally, I feel that if something natural will improve my health and maintain my good health, I choose to go in that direction. I am very grateful to the person who shared this “new idea”, regarding Healthy Coffee and Healthy Tea, with me over two and a half years ago. Because the Ganoderma (Reishi), is delivered into our bodies in such an easy and delicious manner, everyone that consumes our healthy beverages sees it helps to improve their health. Personally my chronic back discomfort is now gone due to the “analgesic promoting” properties of Ganoderma Lucidum. Amazingly there are more than 100,000 pages of clinical medical reports on the Internet documenting all the many Health Benefits of this “miraculous botanical extract”. I can truly say that I now feel better than I did 10 years ago. (No back discomfort is great!!) I have lots of energy and I sleep very well too. I am grateful that we now have these delicious, nutritious products available in North America. They taste great. They make you feel great. They cost very little. Thank you Gano Excel International!!! My first cup of 3 in 1 in the morning not only primes my pump and gets me started, but it also actually clears my sinus passages. After our morning Gano coffee, we switch to the smooth and tasty Gano red rooibos tea which is not only delicious but maintains a sense and feeling of well being throughout the day. “…I was introduced to a Healthy Coffee which was unique in itself! You see, for the past 12 years I have instructed my clients to completely avoid coffee! I am constantly bombarded with new products and quite frankly, I tossed this product in my “I-will-get-to-it-later-drawer” with dozens of others. My first thought was, “Healthy Coffee, right! There is no such thing as Healthy Coffee.” As a matter of fact, “healthy” and “coffee” should not even be in the same sentence! Over the next few weeks I kept running across this sample, so I finally took a good look at it, and was surprised with what I saw. I learned that this Healthy Coffee contained Reishi Mushroom, which I have known about for many years. I have used Reishi in several of the products I have developed in my clinic. Reishi is known for its ability to naturally help improve the body’s pH. This was very important to me as improving pH is the foundation of my health program. The main reason I instruct my clients to avoid coffee is because it is very acidic! The average cup of coffee takes 17 cups of water to neutralize the acidity and 2 cups of water to offset the dehydration! My next step, before I began recommending this Healthy Coffee to my clients, was to research the alkaline benefits of Reishi. Reishi contains a very high concentration of Alkaloids, which promote alkalinity in the body. These Alkaloids also reduce the front end acidity of the coffee. This helps to support healthy pH levels in the body. This was an essential factor, as again, pH is crucial to good health. The next test was to try this “Healthy Coffee”. There was no way this could taste good. It had to taste like mushrooms! Well, to my surprise, the taste was absolutely wonderful. I couldn’t believe that this stuff was healthy! I had a decision to make because I knew that this could solve a big problem for most of my clients. You see, even though I have recommended for years that my clients not drink coffee, they still did. I had come to realize that people just love coffee and are so addicted to it, that there was virtually no way they would give it up. Even at an expense to their health. I knew we had a winner now and started focusing on how this product was working with my clients. In short, the results have been nothing short of miraculous! My clients reported improved energy, more stamina, improved sleep, and basically an over all feeling of well being! … We are extremely happy with the results and my client’s just love knowing that I allow them to drink coffee … and they are improving their health with every delicious cup they drink! Dr. Stuart R. Hoover, NHD is the founder of the Essential2Health Advanced Natural Health Center and recommends the World’s First Healthy Coffee. Dr. Hoover has worked in the health care field for over a decade and has completed several degree programs in the field of Natural Health Sciences which include studies in Naturopathy, Functional Nutrition, Herbology, Homeopathy, Bio-Energetic Health, Functional Health, Dietary Supplementation and Healthy Lifestyle Management as part of his Natural Health Doctor studies. 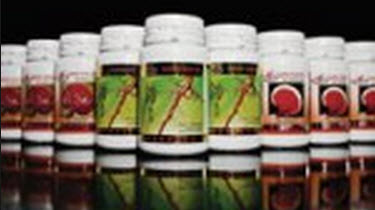 Dr. Hoover has developed and formulated his own private line of nutraceuticals. He provides consultation and nutritional advice to several large nutrition and supplement companies. Dr. Hoover hosts his own radio show, The Healthy Coffee Break, along with co-hosting many national radio shows focused on healthy lifestyles, nutrition and supplementation. Hi, I ran into your webpage from mixx. It is not blog post I would typically read, but I loved your spin on it. Thanks for creating an article worth reading! Hello, just stumbled on this web site from stumbleupon. It’s not an article I would regularly read, but I liked your perspective on it. Thanks for creating something worth reading! Hello, just ran into this webpage from digg. It is not an article I would regularly read, but I liked your perspective on it. Thank you for making something worth reading! Excellent photos that are really attractive to use in our web sites as background no doubt. I truly love your site.. Pleasant colors & theme. Did you build this site yourself? Please reply back as I’m planning to create my own personal site and would love to find out where you got this from or just what the theme is named. Thanks! Hi Arnetta – the theme is Magazine Premium. websites on the web. I am going to recommend this website!